Do you have a favorite place where you go to shop for home decor items? 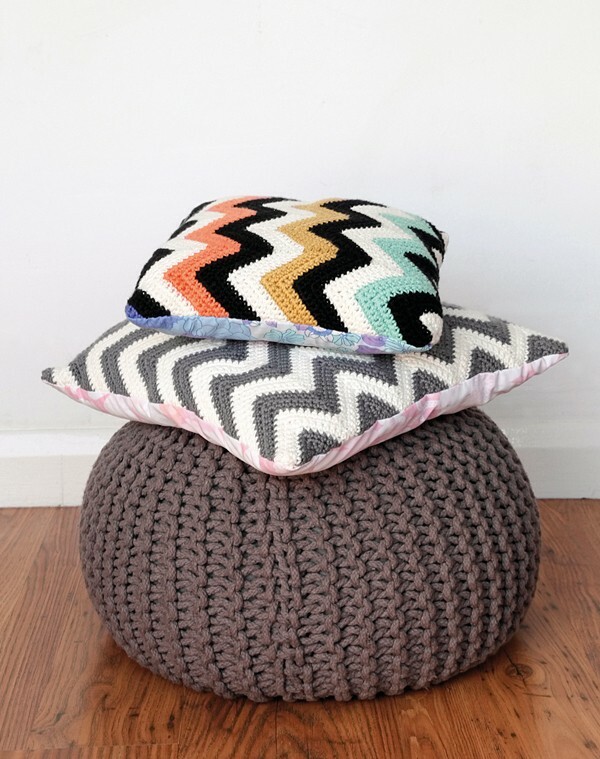 These multicolored crochet cushions take the idea of handmade home decor to a whole new level! They are adorable items to use for decorating any home. The chevron cushion pattern is designed by Mollie Makes and available on her blog together with a lovely photo tutorial.You’re actually going to get two different patterns: for multicoloured crochet cushion and for monochrome crochet cushion. You’ll also learn how to add fabric at the back to finish your “designer” cushion. What’s better than your standard everyday chevron print? One that’s stitched by you in pastel and monochrome yarns, and backed with vintage fabric that’s comfy to sit on – that’s what. Add a designer touch to your fave chair while retaining that homespun feel. Stitched in dcs, the ripple crochet pattern has increases and decreases to create that sharp zig-zag design. Thanks to Mollie Makes for this article inspiration and featured image. 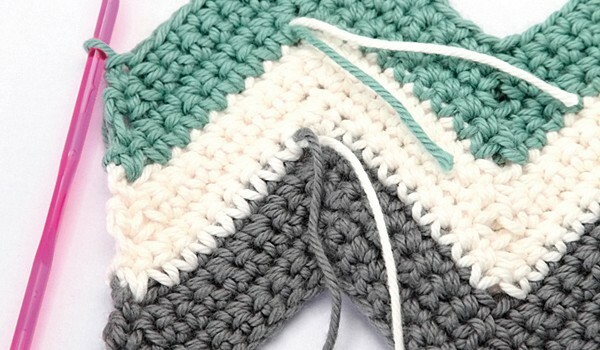 If you’re more of a visual learner and interested to watch a video tutorial to learn how to make the crochet Ripple pattern aka Wave or Ripple, please continue to the next page. Mona Richardson look you could sell these things!! Takes money to make money. When I click on the free pattern link, I end up on a site that tells me my ipad has 6 viruses. Why is this?